Home Is Ready To Move In. **Across from the Gates of St. John (ST. JOHN with Cedar Lake Address). Olthof Homes presents the energy saving NANTUCKET. *Maintenance Free Open Concept. *Kitchen: 42 Inch Maple Cabinets with Crown Molding, Granite Countertop with Overhang, Under-Mount Sink, Lazy Susan, STAINLESS STEEL Refrigerator-Stove-Dishwasher-Microwave. *HARWOOD Laminate Floor: Kitchen, Breakfast Rm, Foyer, Garage Entry. *CERAMIC TILE in Both Bathrooms. *Main Bedroom Suite with 3/4 Bath, Walk-In Closet. 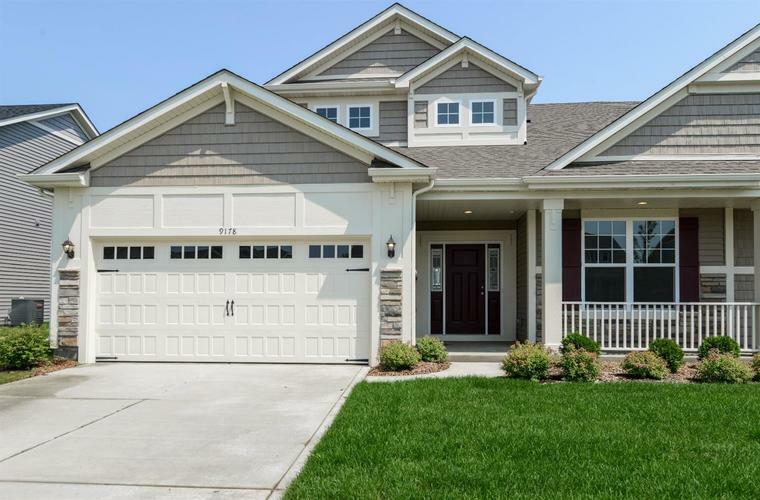 *AMENITIES: 9 Foot Ceiling, White 2 Panel Doors, Custom Color Paint Pkg, Architectural Trim Pkg, Finished Laundry Rm, Concrete Driveway, 15 x 14 Patio, Architectural Roof Shingles, 92% Energy Efficient Furnace, Full Landscaped Yard with Irrigation System. *Low E Energy Star Windows, California Corners, Tyvek Ext House Wrap, Sealed Air Ducts/Registers, 3rd Party Insp, Complete Industry Best Customer Care Program, 10 Yr Structural Transf Warr. *Hanover Schools. Directions:Route 41 to Route 231, East to Park Place (Entrance to Mill Creek subdivision across street from Gates of St. John). South To Green Meadow, West to home. Address does not come up on GPS.